The evening blasted off with Adam Fleischman’s captivating talk on his new book Flavor Bombs: The Umami Ingredients That Make Taste Explode (available in the SoFAB gift shop). 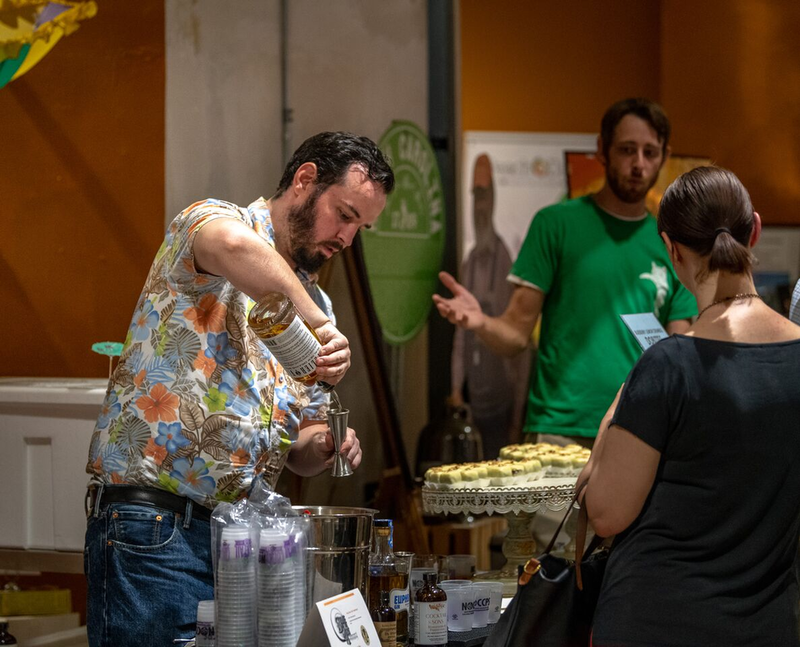 Inspired by Adam and with ballots in hand, attendees roamed the museum to fully experience every sublime sip, savory, and sweet shared by the dozen participating bars and restaurants. 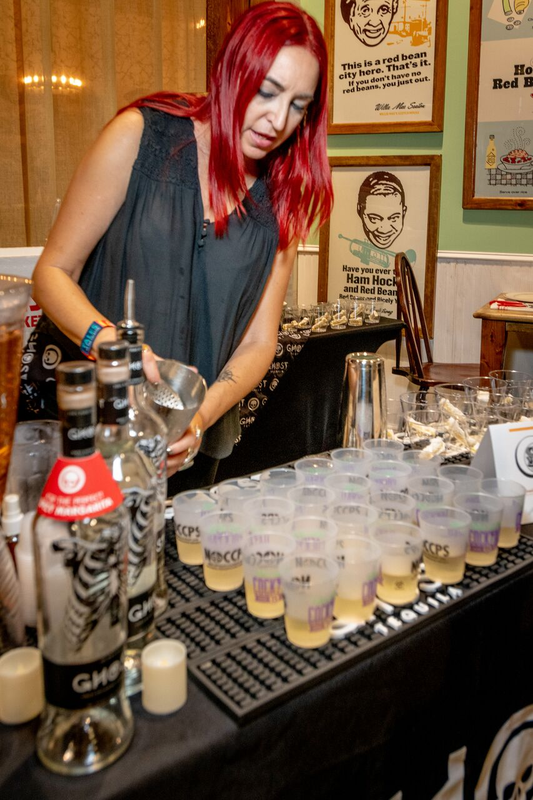 The bartenders dazzled guests and judges far beyond their mixology magic with their charm and passion while showcasing the art of a raconteur. With so much magnificence in the room, it was a challenge for the Judges and the “People” to vote for the best cocktail. 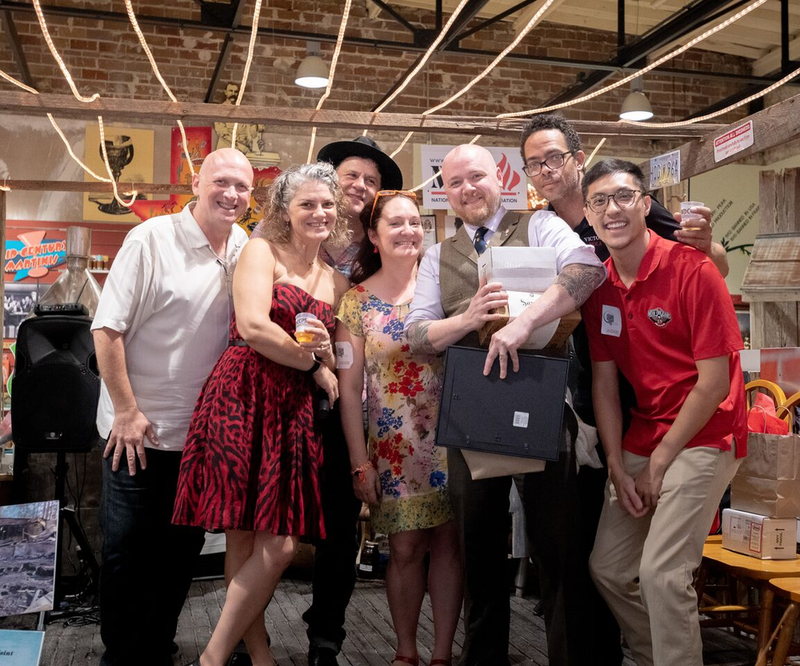 As the evening wound down, the Judges finally came together and agreed that Jesse Carr’s “Toucha” was their winning choice. After last call on the cocktails and a race to fill the ballot boxes, the People’s Choice Award-Winning cocktail went to Kevin Augustine’s “PorchJam,” named after a standard Cajun French folk song that his grandfather used to sing with Mrs. Rodney Fruge. If the spirit moves you, give these winners a try at home! Double Shake. Garnish with Peychauds Aperitivo Soaked Strawberry and a dusting of macha powder. To our most-revered Judges Adam Fleischman, Star Hodgson, Kenny Nguyen, Elizabeth Pearce, and Daniel Victory, we are incredibly honored that you agreed to judge. We extend our massive gratitude for sharing your time and expertise with us! To our spirit industry sponsors Atelier Vie, Bolden Vodka, Charboneau, Cane Land Distilling Co., Cathead, Celebration Distillation, Cocktail Kingdom, Cocktail & Sons, El Guapo Bitters, Ghost Tequila, Koerner, Lula Restaurant and Distillery, My Rouses, Old New Orleans Louisiana Rum, Peychaud’s Apertivo, PorchJam, Rich Grain Distilling Co., Roulaison Distilling Co., Sazerac, and Seven Three Distilling Co., we recognize that there would be no cocktails without your exquisite products. We most sincerely and gratefully thank you for your extremely generous support of the MOTAC. To the finest of the fine NOLA bartenders (and their spectacular support staff), Judy Allen of Lula Restaurant Distillery, Kevin Augustine of Cochon Butcher, Denzel Brown of Compere Lapin, Jesse Carr of Balise, Liam Deegan of Longway Tavern, Brad Holderness of Pizza Delicious, Konrad Kantor of Manolito, Jennifer O’Blenis of Ghost Tequila, Pailinn Pine-Petthong of Toups Meatery, Carmine Portenza of Bacchanal, Jeff Schwartz of Bakery Bar, and Oliver Soval of Saba, you represented your businesses par excellence and you are all WINNERS! To all those who attended the event as ticket-purchasers and guests: In a world of choices as to how to spend your time and your money, words cannot begin to express how very thankful we are that on Monday night, July 16, 2018, you chose to be with US! We loved sharing the evening with you and look forward to seeing you again in 2019. In the meantime, we hope that you will visit the bartenders at their establishments, as well as try our spirit industry sponsor’s products. Last, but certainly not least, we raise our glasses of the award-winning cocktails to our volunteers and interns to celebrate how much you are appreciated. We couldn’t do what we do every day without you! See more pictures on Facebook here and share your own with us! 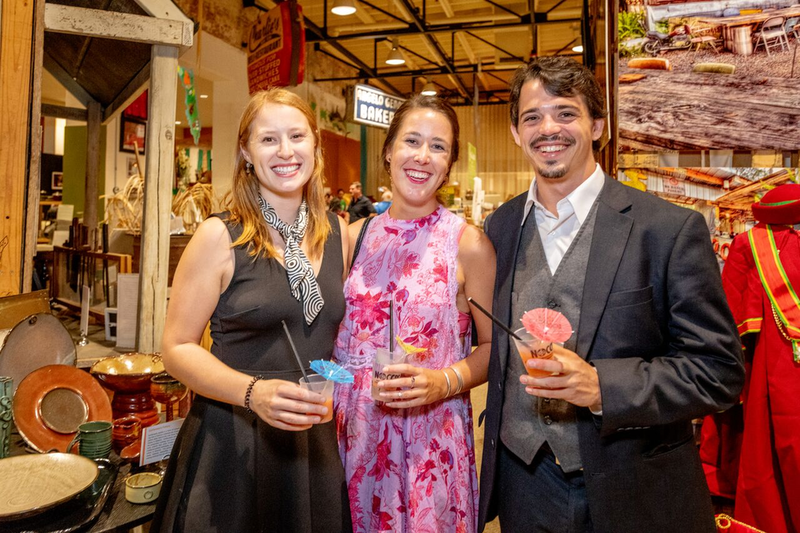 Join us for the month of July, 2018 as we Spotlight the Museum of the American Cocktail as part of the 10 Years of SoFAB programming! The cocktail has always had a unique place not only in American culinary traditions, but also in music, art, politics, culture, and more. The Museum of the American Cocktail explores the past, present, and future role of cocktails and spirits in American Culture.